The National Model Railroad Association (NMRA), an organization of model railroaders, advances the worldwide scale model railroading community through education and standards as well as advocacy and fellowship. 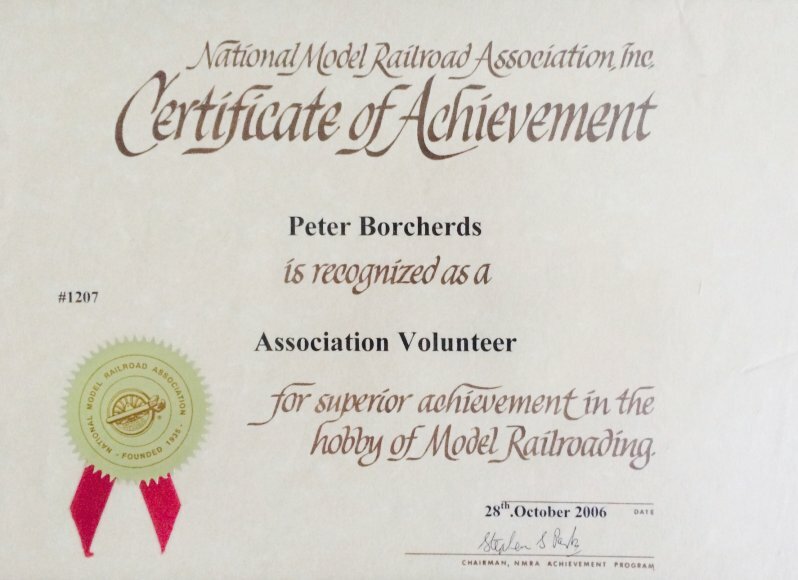 I have been an NMRA member for over 15 years and am busy working on getting my MMR (Master Model Railroader) certificate, via the NMRA’s Achievement Programme. 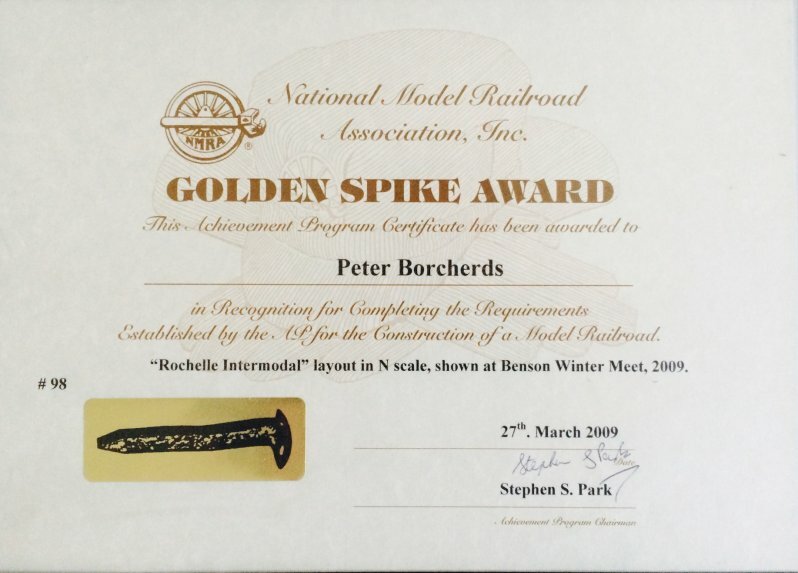 The NMRA’s Achievement Program (AP) was begun in 1961 as a way to help model railroaders excel in their hobby. I won’t go into details here as the AP page on the NMRA’s website explains it well. What I will do is share my progress as I work my way through the various certificates required to become an MMR. I am well on my way towards the Scenery and Electrical certificates, so follow my progress on this page.